Sometimes, the hustle and bustle of urban life can be overwhelming. It is no wonder that some people are trying to do the off-grid living. Though you’re detached to the usual perks of city life, this simplified lifestyle can bring a lot of advantages. Off-grid living is the perfect opportunity to build a sustainable home and show your love for nature. Whether you install a solar power generator or rainwater tanks in your new home in a remote area in WA, you make a big contribution to preserving the environment. In the city, you usually spend time on unnecessary things. You wait in traffic, browse through social media all afternoon, or spend a whole night watching a new television series. But in off-grid living, you have more time to do things that you may find you really enjoy. Whether it is gardening, reading or hunting, you have the luxury of time to discover a lot of new things in a day. Living far away from sources of your stress is good for your health. Many serious illnesses are triggered by a high level of stress. When you no longer have to deal with work and monthly bills, you can focus on maintaining a healthy mind and body. The simple lifestyle of staying in an off-grid home could provide you with financial freedom. Since your home is sustainable, you no longer have to worry about paying energy and water bills. And you’re far away from the usual extravagant purchases, so you don’t have to spend much for your everyday living. 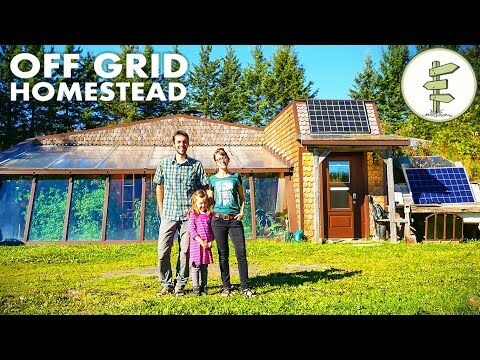 Overall, the cost of off-grid living is way cheaper than what you’re used to spending in the city, so it’s easier for you to achieve financial freedom. While this kind of lifestyle seems like a challenge, it could give you a new perspective on life. You’ll never know, maybe off-grid living is the thing that could give you the happiness you’ve always been looking for. Living off grid for a month now the pros and cons.